If you have a general question, need some advice or would like clarification on any aspect of Alpha Travel Insurance and our products, just let us know - we're here to help. We have a variety of ways you can get in touch with us. By live chat - Our popular live chat system allows you to speak to an advisor without having to wait in a queue and allows you to get answers to your questions immediately. To use this service, simply click on the green 'live chat' button at the top or bottom of this page when a member of our team is online. Our FAQ page - We've put together a list of the most frequently asked questions by our customers. 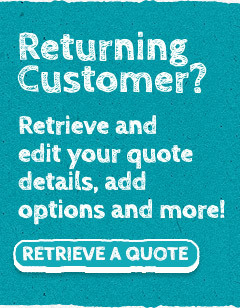 Please take a look at our FAQ page to see if your query can be answered here. Online - Send an email using our online contact form. By email - Send an email with your questions to website@alphatravelinsurance.co.uk - We'll get back to you as soon as possible. By phone - Our team of friendly and experienced customer sales advisors can be contacted on 0203 829 6764. We are open Monday-Friday 8am-8pm, Saturday & Sunday 9am-5pm. For medical and claims help - Please visit our contact us page or hover over the 'help centre' tab to find out how to get in touch with Emergency Assistance Facilities, Travel Claims Facilities, Supercover or MGACS.